Sawyer’s Spacing Tool options create a precise weld gap when fitting pipe, spreading the gap to the exact desired width and accommodating a range of small to large diameter pipe. The Spacing Tool and Short Spacing Tool work in conjunction with a wide range of clamps, pipe welding tools, and other Sawyer tools to optimize any pipe fit up requirement. To create a precise welding gap, mount and tighten a Sawyer clamp to the ends of aligned pipe, spread the gap using the spacing tools to the desired width. Brittle spacing tools that shatter and bend are a constant problem on the line. A traditional spacing tool is typically made of hardened spring steel, but through an optimized hardening process, Sawyer is able to produce a harder tool that is not brittle. 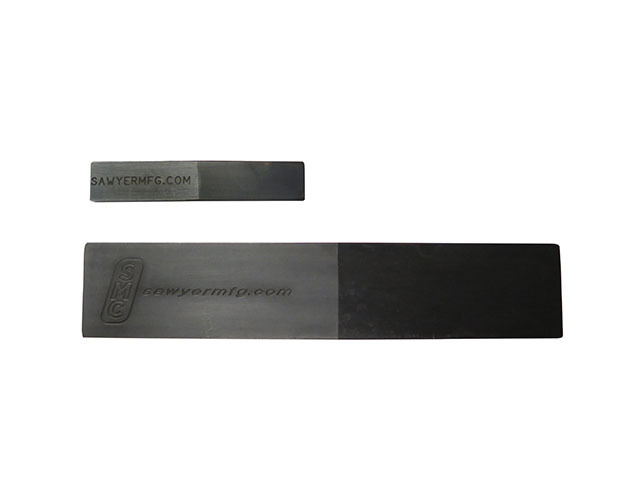 Compared to any other version of a spacing wedges on the market, the Sawyer Spacing Tool is harder and will not bend or mushroom under pressure. This Spacing Tool has a maximum thickness of ¼” and has a longer blade space, the Short Spacing Tool has a maximum thickness of 3/16”. Each wedge gradually tapers to a smooth, chiseled point, creating the ideal spacing wedge for any pipe fit up job.